Johnathan Nauta of Fayetteville is a 37-year-old Army veteran and the recipient for State’s First Abdominal Wall Transplant. Johnathan, or Eric as he is known to some, began experiencing difficulty digesting food in September of 2014, the beginning of a years-long ordeal of intestinal issues. Numerous infections and ailments led to immense scarring and severe complications. Eventually, he was forced to medically retire from the Army. At one point doctors suggested he go on hospice. That was until he was transferred to Duke University. There it was decided he would need extensive, rare surgery to live a healthy life. On top of that, he would need a donor and donor family. Johnathan understood that his fate was linked to tragedy, so when young Marcus Scales passed away and his parents, John and Sherry Scales, made the decision to donate his organs, he was overwhelmed with emotion. 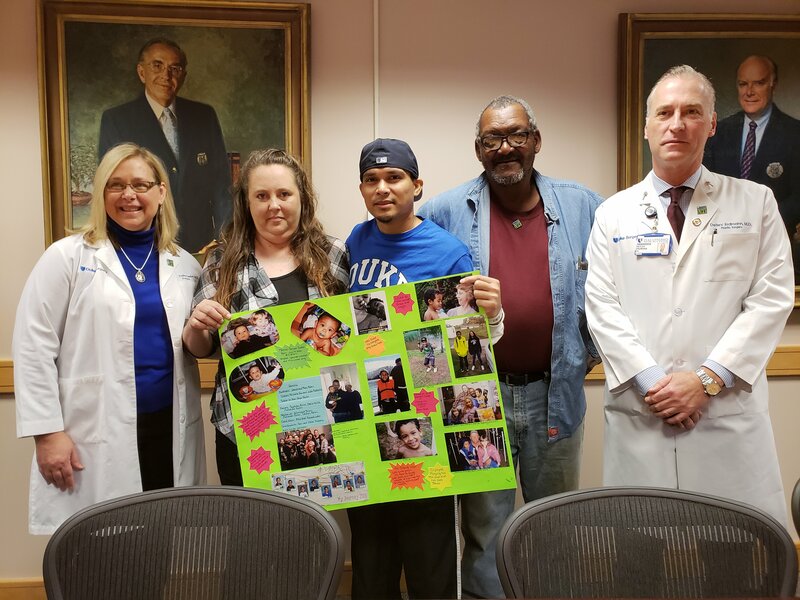 The transplant was a success and although Johnathan had insurance to cover the cost of the procedure there are still many unmet expenses that insurance does not cover such as copays and deductibles and the very costly anti-rejection medicines required after transplant. Family and friends of Johnathan Nauta are raising money for the nonprofit Help Hope Live to fund uninsured medical expenses associated with transplantation. Johnathan has chosen to fundraise for Help Hope Live in part because Help Hope Live assures fiscal accountability of funds raised and tax deductibility to the full extent allowed by law for contributors. Contributors can be sure donations will be used to pay or reimburse medical and related expenses. To make a tax-deductible donation to this fundraising campaign, click on the Give button.